It's time for Part III of Building your Home Bar: the essential non-essentials! These things are like shaving cream on your honeymoon-you don't technically need them, but they sure make life better! Some of these selections are your standard spirits' more exotic cousins: cachaça, mezcal and pisco, in particular. If you've ever had a caipirinha, you know that cachaça is more than Brazilian rum, and tequila simply can't be substituted when a recipe calls for mezcal. For cachaça, try Weber Haus' Silver, and pick up a bottle of single village Del Maguey, which is widely accepted as the highest standard of mezcal. Marian Farms makes a terrific Pisco that's also biodynamic! Next come the vermouths: this is one area where you will need all three varieties. Vermouth is a fortified wine (like sherry) that's been mulled with various other ingredients; it's essentially a cocktail spice, like salt or pepper. You'll need a red (sweet), white (dry) and blanc (a sweet white). For an exceptional red vermouth, Carpano Antica can't be beat, but Dolin or even humble Martini & Rossi will do in a pinch. Dolin's dry vermouth is excellent, and their version of blanc is also quite good. 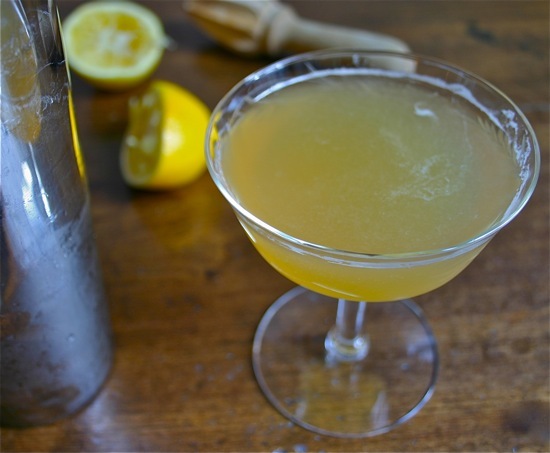 It's just as wise to pick up a bottle of Lillet instead of a traditional blanc vermouth, however; Lillet is also a fortified white wine that plays a role in many cocktails, and does terrific double duty. Campari, an Italian bitter liquor, is a favorite of mine and so it has a place in the essential non-essentials. Over ice with a dash of soda, it makes the perfect summer cocktail, and while not everyone has a taste for it, you might be surprised by how refreshing it is! You'll want a bottle of orange curacao or triple sec in your liquor cabinet; Cointreau is really just a more expensive version of the same thing, so feel free to splurge on it if you'd like. Finally, you'll want a brandy; head to your local liquor store and pick out a bottle you can afford. As a tip, more expensive cognac is simply brandy from the region of Cognac, like champagne and sparkling wine. And from the "others" category, don't forget to pick up a bottle or two of bitters. The must-haves are Angostura and Peychaud's bitters, but orange, lemon and even chocolate bitters can be great cocktail additions! Next week, we'll enjoy the most decadent list of all: the non-essentials for the cocktails you love! And as a reward, another sour: this one with whiskey and Meyer lemon! Combine all ingredients in a cocktail shaker; if using egg white, first dry shake. If not, shake for no more than 10 seconds with ice and strain into a chilled cocktail glass. Notes: a whiskey sour has just 4 ingredients: whiskey, the base spirit, lemon juice, the citrus, simple syrup to sweeten and egg white, to make a magnificent foam. Raw egg has gotten a bad rap since people started buying eggs from chickens in someone else's yard, so many recipes omit it. It's a personal preference, and while the drink does miss that wonderful texture, it's just as delicious! Photo by Nora Maynard via the Kitchn. sounds yum! i love fresh lemon. Oh Lena, you have no idea of how much you've been helping me with this. I am completely smitten. Thank you darling! Slurp, that cocktail looks yummy! mmmm these make me feel warm and sleepy lol.. or maybe its the 5am rise and shine time today..
you are weirdly knowledgeable and stylish about liquor, lena. you should come over and HELP me put together a bitchin' home bar. no? When I first started going out to the bars, I always ordered whiskey sours. I can imagine with meyer lemons they're pretty good - it's been ages since I've had one, I get acid reflux the moment I sip whiskey now, grr! Plus it's made me sick 800 too many times, hahah! Have a great weekend! I'm w/ Jillian...I love everything and anything with lemons. Have a great w/e!! Please invite me over. I think we'd be great friends. You know where I'm going with that one! I like this series- very inspirational- I think I need a new piece of furniture to house my bar. as soon as I finish painting my dinning room I am going to head out and get these essentials and take my bar to the next level. Oh yeah! Oh la la I adore lemon-tasting cocktails! And..I loooove Campari!! Have a sparkling weekend, Lena darling! I'm not much of a drinker, but that looks delightful! I am officially thirsty! Is it cocktail hour yet?? I definitely want a nice, fully stocked bar in my home when I finally settle down. You are the cocktail guru... plain and simple!! Ah, yes, I am such a fan of bitters -- perfect for a simple champagne cocktail!